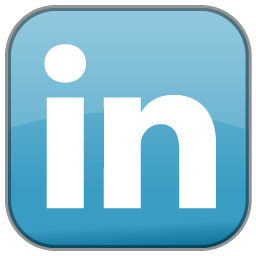 The big Social Networking tools in 2010 were Linkedin, Plaxo, Sprouter, Fastpitch and Facebook. In the Microblogging category there are tools such as Twitter, Posterous, Tumblr and Yammer. Location-based social networks include Fousquare, Gowalla, Facebook Places and Geoloqi. People also use photo sharing and video sharing services such as Flickr, Photobucket, Picasa, YouTube, Vimeo and Viddler. Another form of Social Networking are event sites such as Eventful, The Hotlist, Meetup.com and Upcoming. So What Worked For Me and What Was a Waste of Time? If I could only spend one hour a week on “social networking” it would be spent on this blog. Period. Over the past year I have developed 262 connections on Linkedin, have 578 people following me on Twitter, 18 connections on Plaxo and 121 Friends on Facebook and I cannot track one new client to any of these sources. That is not to say that someone did not see me on one of these sites and then visited my blog, but I always ask how clients found me and none said “on Twitter” or “on Facebook”. In comparison I have more than 500 subscribers to this blog and average more than 600 views of my posts every day, but more importantly not a week goes by that I do not get a phone call or email resulting in some form of new business. I still believe some of my time must be invested in Linkedin, Twitter and Facebook as they raise my rankings for search engines and build trust in potential clients, but I do not see them as effective marketing tools. The one thing I can say without question about Twitter is that I have learned more from reading Tweets than I would ever have surfing the internet for new ideas. I can also say that the use of hashtags (i.e. adding #website in a Twitter post so people can drill down to tweets about websites) with Twitter has helped position me better. My tweets are also indexed by the search engines so it is adding more “juice” and does affect my rankings. My Facebook page is more personal than business so I can’t say I have given it a lot of effort, but I work with a lot of Realtors that have fan pages, but the jury is out on whether time invested on Facebook will have positive results. I have recently posted a lot of wedding photos and friends came out of the woodwork to comment so that is proof that I am staying “top of mind”, but my friends are not my prospects. Does anybody use it for more than collecting connections? I have joined some groups and participated in a few forums, but the return on time invested has been negligible. I will continue to monitor connections, but do not plan to invest more than a few minutes a week checking things out. Determine where your current business is coming from and throw a proportionate amount of your time, effort and budget into the channel that is working the best. I will bet that time spent on personal marketing, staying in touch with clients and asking for referrals will have an exponentially higher payback than all Social Media channels combined…with the exception of blogging. Is your experience any different?